Why do people feel as if it's okay to do cruel things? 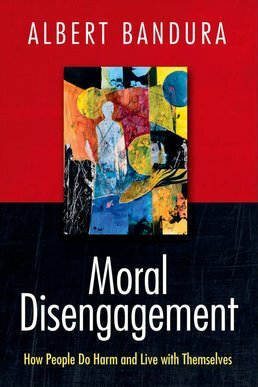 The study of moral disengagment is carefully examined in Moral Disengagement, showing you everyday evils that can appear in our daily lives which should be counteracted by mindful moral engagement. Theories of morality typically put the focus at the individual level, but this text extends the disengagement of morality to the social-system level through which wide-spread inhumanities are perpetrated. In so doing, enlightening new perspectives on some of the most provocative issues of our time can be closely examined, such as moral disengagement in terrorism and climate change denial.